Rockwell Automation and Gekko Systems have joined forces to develop software solutions that assist mining companies to account for metal content in ore processing plants and provide the analytical capability to audit and improve operating performance. The two companies have collaborated for more than 15 years, combining Gekko’s minerals processing experience with Rockwell’s automation expertise. Rockwell and Gekko have signed a memorandum of understanding (MoU) to recognise the latest partnership. “It is exciting for Gekko Systems to be associated with Rockwell Automation in what we believe to be a significant opportunity to assist the mining industry to make sense from valuable data that is often lost or not easily accessible for analysis.” Gekko’s global mining and processing services manager Renaldo Maras said. A metallurgical accounting program is in development and pilot stage, according to Gekko. 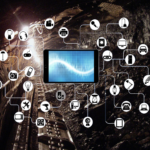 “We are delighted to have the opportunity to help co-develop this Connected Mine software solution with Gekko Systems,” Rockwell Automation’s Gekko account manager Steve Simpkin said.